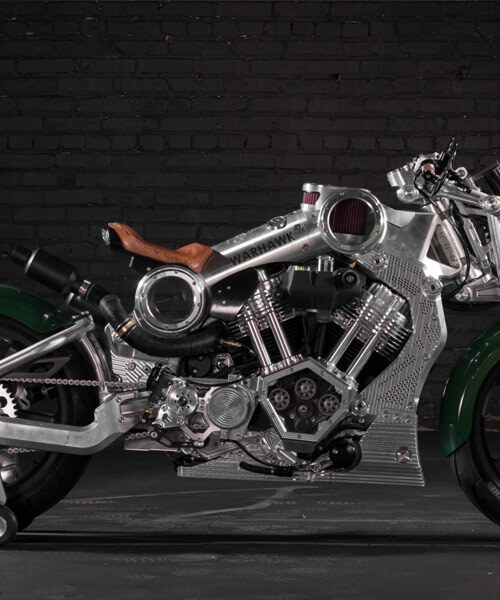 limited to just 35 models, the curtiss motorcycle co.’s ‘warhawk’ is said to be a machined aluminum monster. 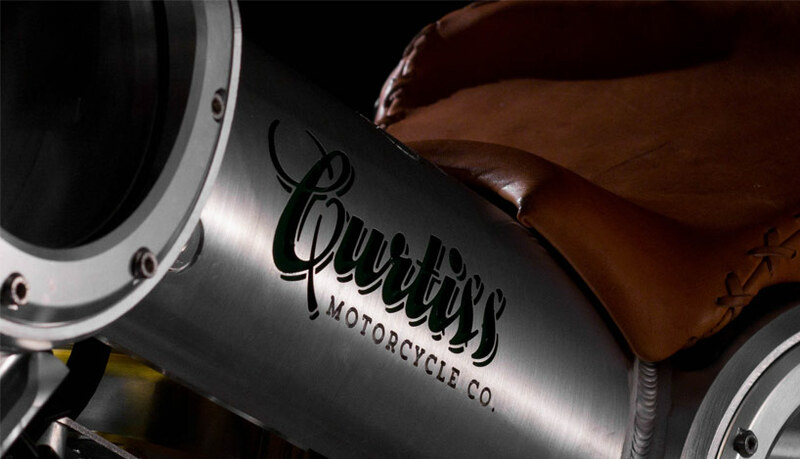 with the brand formerly known as confederate motorcycles and now named after the inventor of the american V-twin engine, glenn curtiss, the design is in fact the first curtiss motorcycle in 105 years. the special edition looks to perfect the original invention, while building upon the designer’s flared industrial aesthetic. 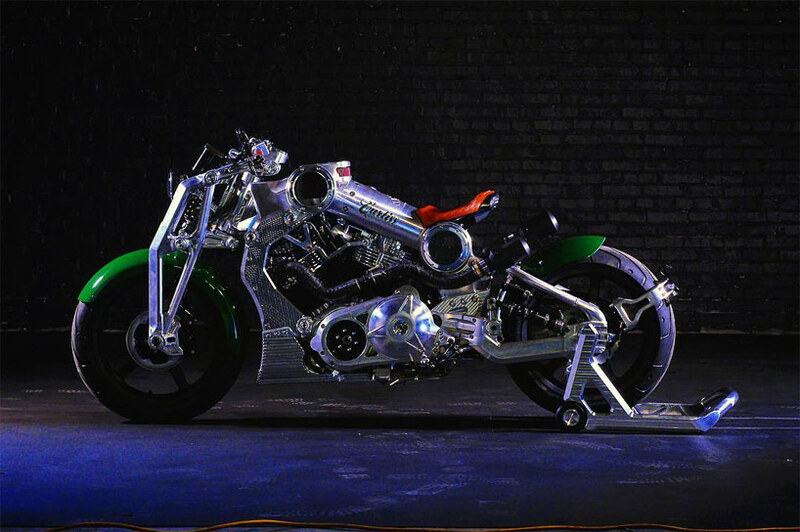 all images courtesy of curtiss motorcycles co.
as you would expect then, the curtiss motorcycle co.’s ‘warhawk’ is powered by an air/oil-cooled V-twin motor, which produces 150 hp at 5,1000 RPM. its performance does not stop there though as it delivers 217 NM of torque that helps propel it to a top speed of over 165 mph. 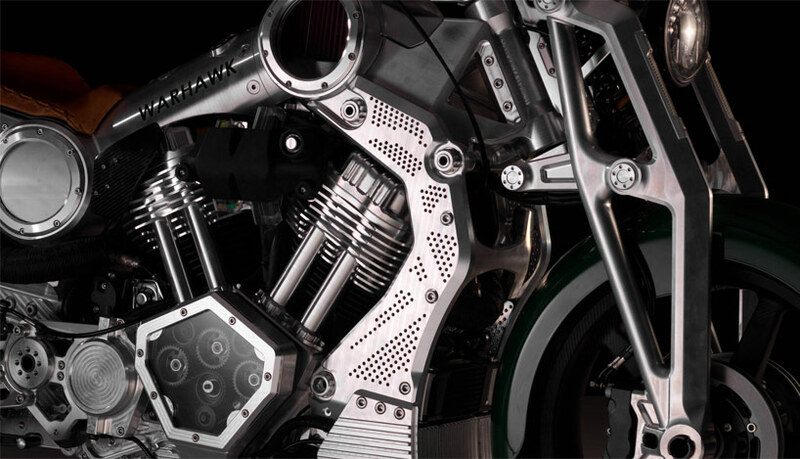 the bike is complete with a 5-speed curtiss stacked gearbox, double wishbone suspensions, beringer front and rear brakes, 16.25 liters of fuel capacity, and michelin tires with carbon wheels.